Spring is the most capricious of seasons, sunshine gives way to rain and vice versa at the snap of a finger. 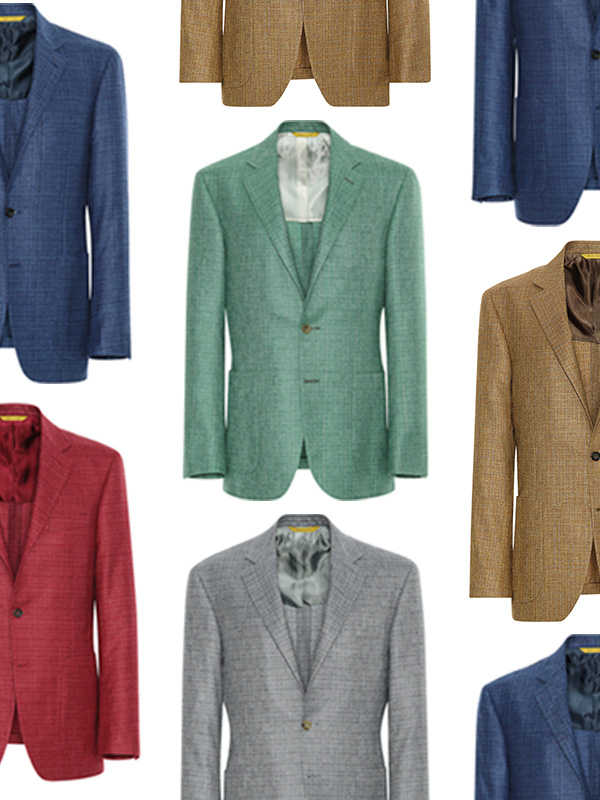 We have a selection of blazers that will brighten up any day and any ensemble thanks to an ample choice of colors for every personality. These blazers are made from a luxurious and soft blend of silk and cashmere, embellished with a delicate texture that adds a dynamic touch. 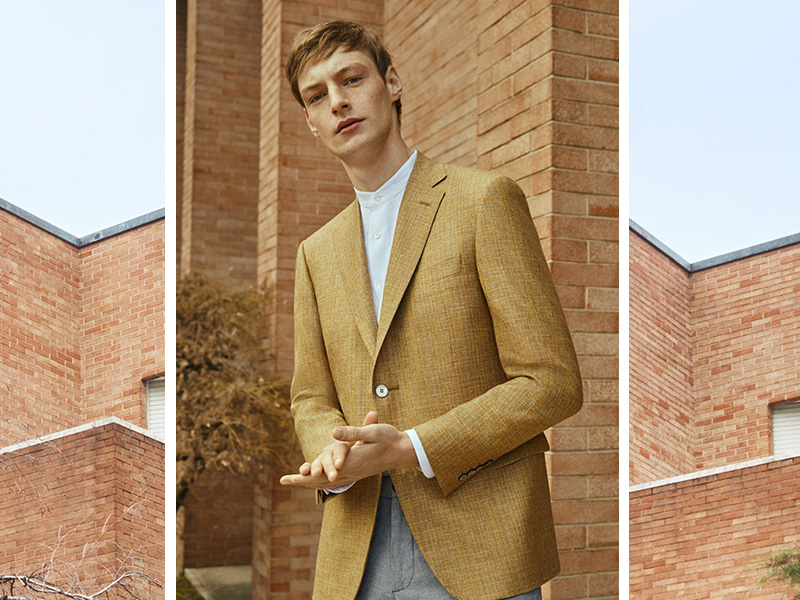 The blazer is made with our iconic Kei construction – unlined for a soft tailored look that is perfect for more casual ensembles. The blazer features distinctive details like pure silk buttonholes and stitching as well as real horn buttons. The final result is an elegance that is both contemporary and classic at the same time. Style one of these blazers with white or khaki casual pants and a pair of our white leather sneakers for the truly perfect Spring look. 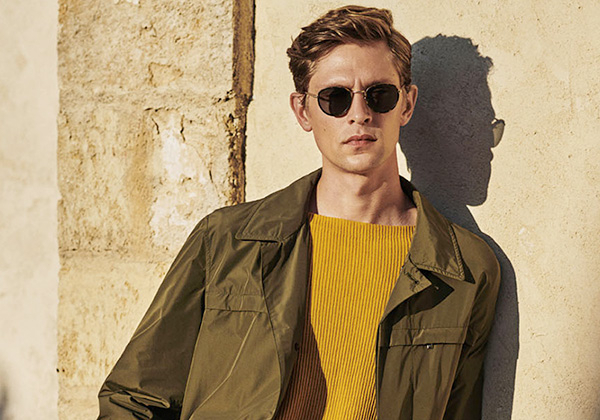 Ochre mixes with olive green for a palette that evokes a Mediterranean landscape, inundated with the warm light of Summer. 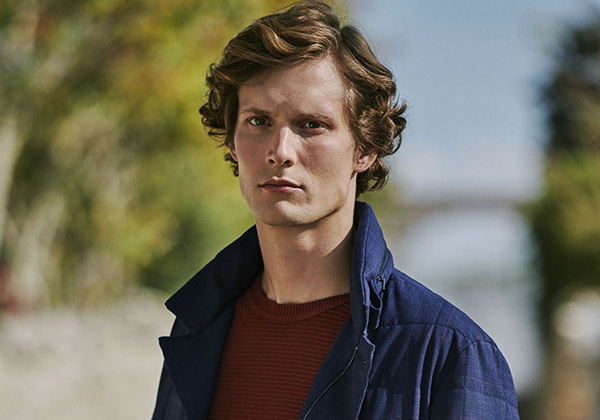 For a casual weekend look, try a colorful combination like this one and white or khaki chinos for a balanced blend of elegance and refined relaxation. Accessorize with a double ring belt and Canali sunglasses for contemporary finishing touches.